Quentin Michaudel, Timothee Chauvire, Veronika Kottisch, Michael J. Supej, Katherine J. Stawiasz, Luxi Shen, Warren R. Zipfel, Héctor D. Abruña, Jack H. Freed, and Brett P. Fors. You-Chi Mason Wu, Michel F. Molaire, Catherine R. DeBlase, David S. Weiss, Brett P. Fors. J. Org. Chem. 2015, 80, 12740. Nicolas J. Treat, Hazel Sprafke, John W. Kramer, Paul G. Clark, Bryan E. Barton, Javier Read de Alaniz, Brett P. Fors, Craig J. Hawker. J. Am. Chem. Soc. 2014, 136, 16096. 28) Hannah P. Luehmann, Lisa Detering, Brett P. Fors, Eric D. Pressly, Pamela K. Woodard, Gwendalyn J. Randolph, Robert J. Gropler, Craig J. Hawker, Yongjian Liu “PET/CT Imaging of Chemokine Receptors in Inflammatory Atherosclerosis Using Targeted Nanoparticles” J. Nucl. Med. 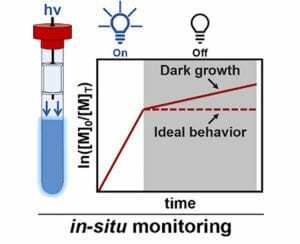 2016, DOI: 10.2967/jnumed.115.166751. 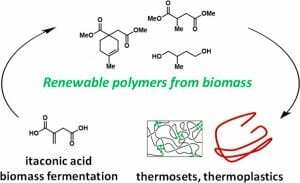 27) Anna Melker, Brett P. Fors, Craig J. Hawker, Justin E. Poelma “Continuous Flow Synthesis of Poly(methyl methacrylate) via a Light-Mediated Controlled Radical Polymerization” J. Polym. Sci., Part A: Polym. Chem. 2015, 53, 2693. 26) Nicolas J. 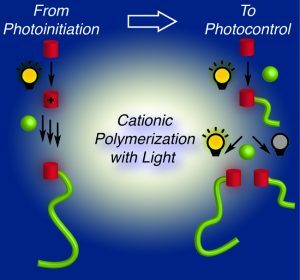 Treat, Brett P. Fors, John W. Kramer, Matthew Christianson, Chien-Yang Chiu, Javier Read de Alaniz, Craig J. Hawker “Controlled Radical Polymerization of Acrylates Regulated by Visible Light” ACS Macro Lett. 2014, 3, 580. 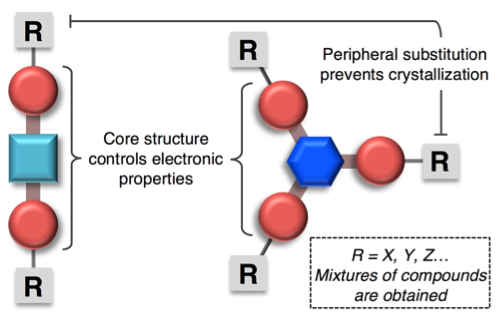 25) Maxwell J. Robb, Brandon Newton, Brett P. Fors, Craig J. Hawker “One-Step Synthesis of Unsymmetrical N-Alkyl-N’-Aryl Perylene Diimides” J. Org. Chem. 2014, 79, 6360. 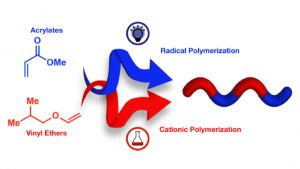 24) Lauren M. Misch, Alexander Birkel, C. Adrian Figg, Brett P. Fors, Craig J. Hawker, Galen D. Stucky, Ram Seshadri “Rapid Microwave-Assisted Sol-Gel Preparation of Pd-Substituted LnFeO3 (Ln = Y, La): Phase Formation and Catalytic Activity” Dalton Trans. 2014, 43, 2079. 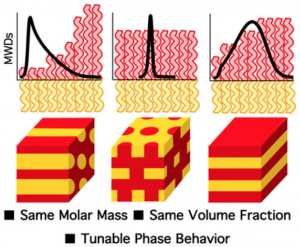 23) Brett P. Fors, Justin E. Poelma, Matthew S. Menyo, Maxwell J. Robb, Daniel M. Spokoyny, John W. Kramer, J. Herbert Waite, Craig J. Hawker “Fabrication of Unique Chemical Patterns and Surface Concentration Gradients with Visible Light” J. Am. Chem. Soc. 2013, 135, 14106. 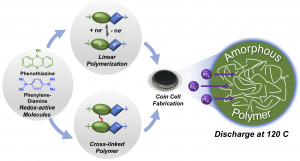 22) Justin E. Poelma, Brett P. Fors, Gregory F. Meyers, John W. Kramer, Craig J. Hawker “Fabrication of Complex 3-Dimensional Polymer Brush Nanostructures via Light-Mediated Living Radical Polymerization” Angew. Chem. Int. Ed. 2013, 52, 6844. 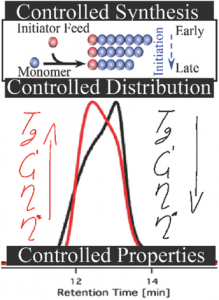 21) Frank A. Leibfarth, Kaila M. Mattson, Brett P. Fors, Hazel A. Collins, Craig J. Hawker “External Regulation of Controlled Polymerizations” Angew. Chem. Int. Ed. 2013, 52, 199. 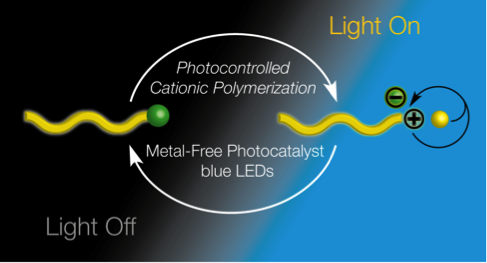 20) Brett P. Fors, Craig J. Hawker “Control of a Living Radical Polymerization of Methacrylates by Light” Angew. Chem. Int. Ed. 2012, 51, 8850. 19) Ekaterina V. Vinogradova, Nathaniel H. Park, Brett P. Fors, Stephen L. Buchwald “Palladium-Catalyzed Synthesis of N-Aryl Carbamates” Org. Lett. 2013, 15, 1394. 18) Ekaterina V. Vinogradova, Brett P. Fors, Stephen L. Buchwald “Palladium-Catalyzed Cross-Coupling of Aryl Chlorides and Triflates with Sodium Cyanate: A Practical Synthesis of Unsymmetrical Ureas” J. Am. Chem. Soc. 2012, 134, 11132. 17) Satoshi Ueda, Siraj Ali, Brett P. Fors, Stephen L. Buchwald “Me3(OMe)tBuXPhos: A Surrogate Ligand for Me4tBuXPhos in Palladium-Catalyzed C­–N and C–O Bond-Forming Reactions” J. Org. Chem. 2012, 77, 2543. 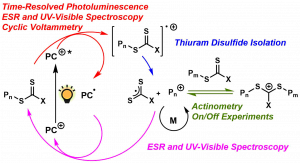 16) Simon Breitler, Nathan J. Oldenhuis, Brett P. Fors, Stephen L. Buchwald “Synthesis of Unsymmetrical Diarylureas via Pd-Catalyzed C–N Cross-Coupling Reactions” Org. Lett. 2011, 13, 3262. 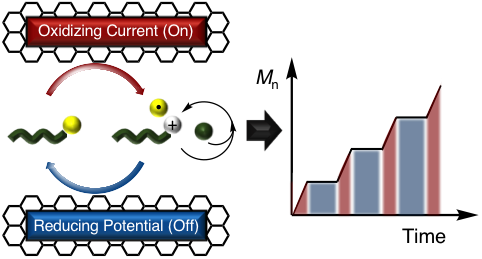 15) Brett P. Fors and Stephen L. Buchwald “Commentary on ‘A New, Efficient and Recyclable Lanthanum(III) Oxide-Catalyzed C-N Cross-Coupling’ by S. Narayana Murthy, B. Madhav, V. Prakash Reddy, and Y. V. D. Nageswar, Adv. Synth. Catal. 2010, 352, 3241–3245” Adv. Synth. Catal. 2010, 352, 3119. 14) Brett P. Fors, Stephen L. Buchwald “A Multiligand Based Pd Catalyst for C–N Cross-Coupling Reactions” J. Am. Chem. Soc. 2010, 132, 15914. 13) Xiaoxing Wu, Brett P. Fors, Stephen L. Buchwald “A Single Phosphine Ligand Allows Palladium-Catalyzed Intermolecular C–O Bond Formation with Secondary and Primary Alcohols” Angew. Chem. Int. Ed. 2011, 50, 9943. 12) Debrata Maiti, Brett P. Fors, Jaclyn L. Henderson, Yoshinori Nakamura, Stephen L. Buchwald “Palladium-Catalyzed Coupling of Functionalized Primary and Secondary Amines with Aryl and Heteroaryl Halides: Two Ligands Suffice in Most Cases” Chem. Sci. 2011, 2, 57. 11) Karin Dooleweerdt, Brett P. Fors, Stephen L. Buchwald “Pd-Catalyzed Cross-Coupling of Amides and Aryl Mesylates” Org. Lett. 2010, 12, 2350. 10) Brett P. Fors, Stephen L. Buchwald “Pd-Catalyzed Conversion of Aryl Chlorides, Triflates, and Nonaflates to Nitroaromatics” J. Am. Chem. Soc. 2009, 131, 12898. 9) John R. Naber, Brett P. Fors, Xiaoxing Wu, Jonathon T. Gunn, Stephen L. Buchwald “Stille Cross-Coupling Reactions of Aryl Mesylates and Tosylates Using a Biarylphosphine Based Catalyst System” Heterocycles 2010, 80, 1215. 8) Brijesh Bhayana, Brett P. Fors, Stephen L. Buchwald “A Versatile Catalyst System for Suzuki-Miyaura Cross-Coupling Reactions of C(sp2)-Tosylates and Mesylates” Org. Lett. 2009, 11, 3954. 7) Brett P. Fors, Karin Dooleweerdt, Qingle Zeng, Stephen L. Buchwald “An Efficient System for the Pd-Catalyzed Cross-Coupling of Amides and Aryl Chlorides” Tetrahedron 2009, 65, 6576. 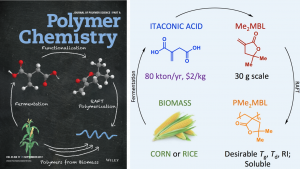 6) Brett P. Fors, Nicole R. Davis, Stephen L. Buchwald “An Efficient Process for Pd-Catalyzed C­­–N Cross-Coupling Reactions of Aryl Iodides: Insight Into Controlling Factors” J. Am. Chem. Soc. 2009, 131, 5766. 5) Brett P. Fors, Donald A. Watson, Mark R. Biscoe, Stephen L. Buchwald “A Highly Active Catalyst for Pd-Catalyzed Amination Reactions: Cross-Coupling Reactions Using Aryl Mesylates and the Highly Selective Monoarylation of Primary Amines Using Aryl Chlorides” J. Am. Chem. Soc. 2008, 130, 13552. 4) Brett P. Fors, Philip Krattiger, Eric Strieter, Stephen L. Buchwald “Water-Mediated Catalyst Preactivation: An Efficient Protocol for C–N Cross-Coupling Reactions” Org. Lett. 2008, 10, 3505. 3) Mark R. Biscoe, Brett P. Fors, Stephen L. Buchwald “A New Class of Easily Activated Palladium Precatalysts for Facile C–N Cross-Coupling Reactions and the Low Temperature Oxidative Addition of Aryl Chlorides” J. Am. Chem. Soc. 2008, 130, 6686. 2) Ryan A. Altman, Brett P. Fors, Stephen L. Buchwald “Pd-Catalyzed Amination Reactions of Aryl Halides Using Bulky Biarylmonophosphine Ligands” Nature Protocols 2007, 2, 2881. 1) Harry R. Chobanian, Brett P. Fors, Linus S. Lin “A Facile Microwave-Assisted Palladium-Catalyzed Cyanation of Aryl Chlorides” Tetrahedron Lett. 2006, 47, 3303.